Home › Toys › I Corinthians 13:4-6 Italian Style Burlwood Finish Jewel Lid Music Jewelry Bo.. I Corinthians 13:4-6 Italian Style Burlwood Finish Jewel Lid Music Jewelry Bo.. 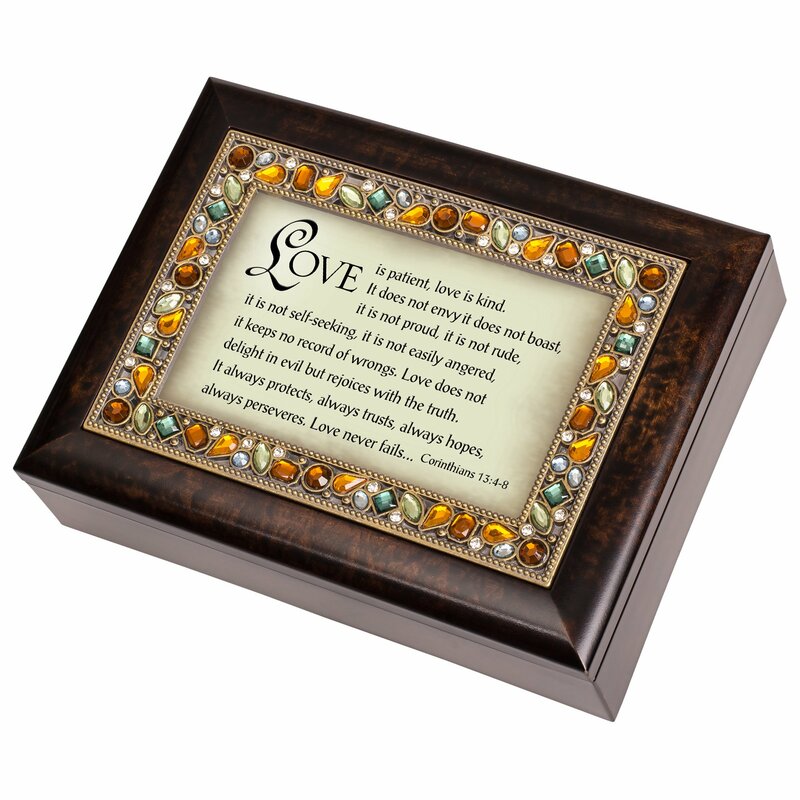 This is a beautiful, heartfelt jewelry box with a Italian style burlwoodfinish and a jeweled lid. It is also a wind up music box with a high qualitySankyo music mechanism. The lid doubles as a 4x6 photo frame so you can put ina personal picture. It features cushioned feet so it doesn't scratch surfaces.It has a velvet lined inside. The music mechanism can be seen playing throughglass on the inside of the box. This is a great quality item that will makemany memories for years.